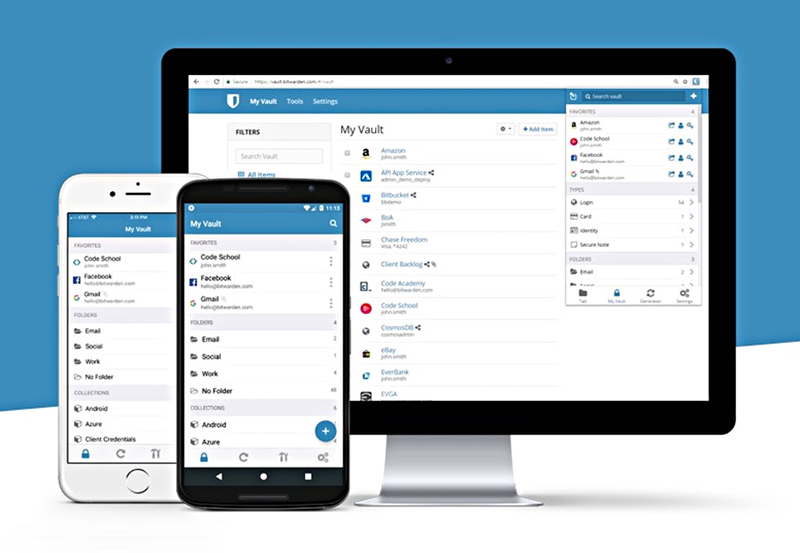 Bitwarden is an open-source, free password manager, featuring the ability to store unlimited logins, which sync to unlimited devices and browsers – including mobile devices, for free; a secure password generator, and secure notes. 2 step authentication is a paid feature. LastPass is also a password manager with all of the same features, and which has been around for several years now; except the mobile version is not free, you must upgrade to an expensive monthly Premium plan. On the other hand, 2 step authentication is free with Lastpass. 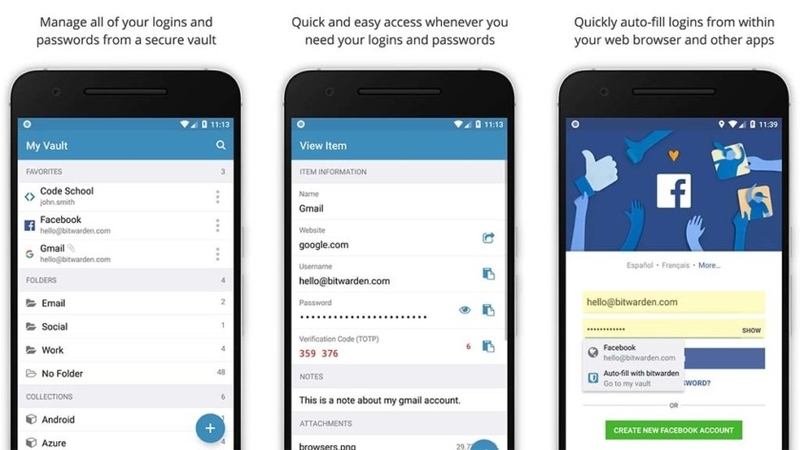 Whether you choose the free version of Bitwarden or LastPass may now come down to whether you value being able to access all your passwords on your mobile device for free (Bitwarden), or whether you want 2-step authentication for free (LastPass). You cannot have both for free with either password manager. On the other hand, the Premium version is a massive price difference. LastPass is expensive at $24 per year for individuals, $48 per year for families, and $48 per user per year for teams (which can really add up for medium to large-sized teams), and with a minimum of 5 users for teams ($240/year minimum for teams). Bitwarden on the other hand is just a fraction of this price – $10 per year for the Premium version with additional features like 1GB of file storage, 2-factor authentication (only used by some power users) and Reports; but the free version comes with everything you need, unlike LastPass where you can’t access your logins on your phone or mobile devices. Bitwarden’s price for teams is also far more affordable, at only $12 per year for families, and only $60 per year for teams of up to 5 people, and only $24 per year for each additional user. 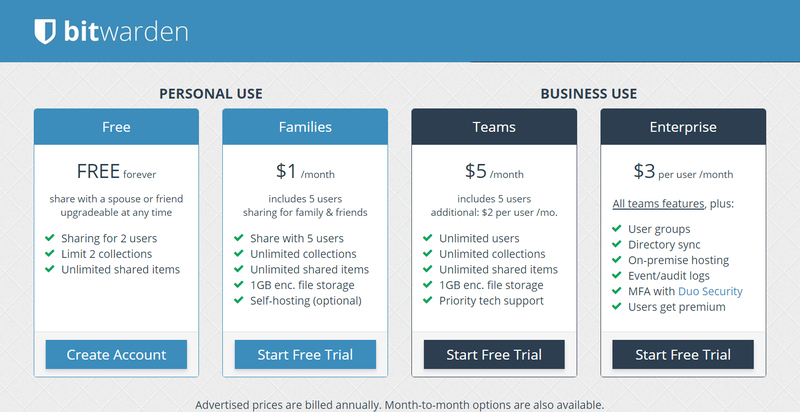 An example might be a team of 10 users for $180 per year. LastPass by comparison costs $48 for each team user, which for 5 users would be $240, and for 10 users would be a stunning $480 per year – $300 more than Bitwarden. For large teams, it gets even worse for LastPass. A team of 100 users using Bitwarden would cost $2,340 er year, which might seem like a lot until you consider the price of LastPass for a team of 100 users: $4,800 per year. If you are going for a Premium version, the choice of Bitwarden is obvious. 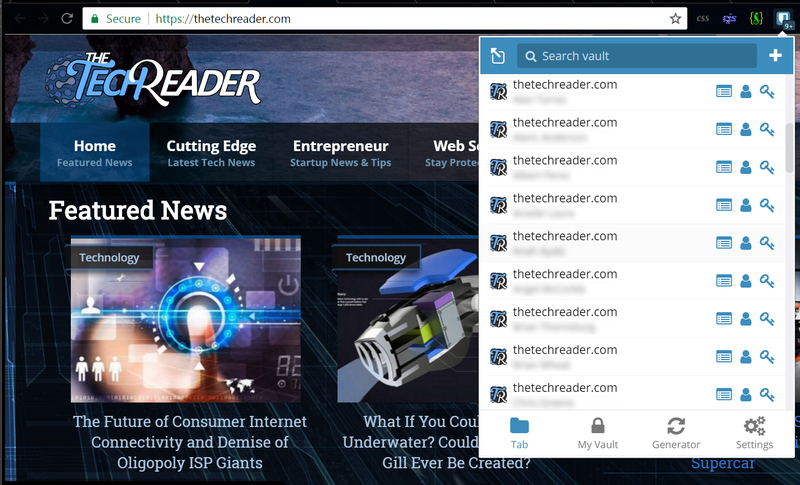 Could Bitwarden finally be the best replacement for LastPass? We have used LastPass for many years, but since a few years ago it has been getting worse and worse, and users are getting sick of it. They keep removing features, making it worse and more buggy, and it keeps getting slower and more tedious to login. 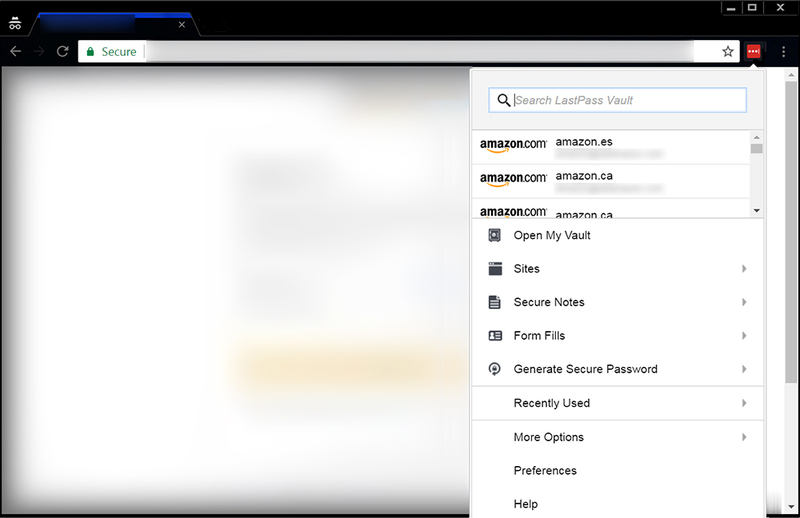 We have tried all the password managers, but no free password managers have been better than LastPass, even considering the tediousness – that is, until now. Bitwarden, being free and open source and supporting far more features for free than any other password manager except for LastPass, has been in my sights since they first started developing it. However, in its infancy it was still not good enough to beat the usability of LastPass, although it had my hopes up. This hope may have finally come to fruition. LastPass has been a problem in that it kept getting worse and worse with each update in the last few years. LastPass has been getting slower and more tedious, with new gigantic 4x larger sections for each login in the version 3 update a couple years ago, so you have to scroll and scroll and scroll to find your login, unlike a couple years ago when it was compact so you could quickly see your logins at a glance. Also, previously, LastPass had the ability to filter logins as you typed. This feature was the best feature and had dramatically improved productivity. You had only needed to click the LastPass icon and begin typing your login into the login and it would filter as you typed. Unfortunately, this amazing feature on LastPass was removed entirely a couple years ago. 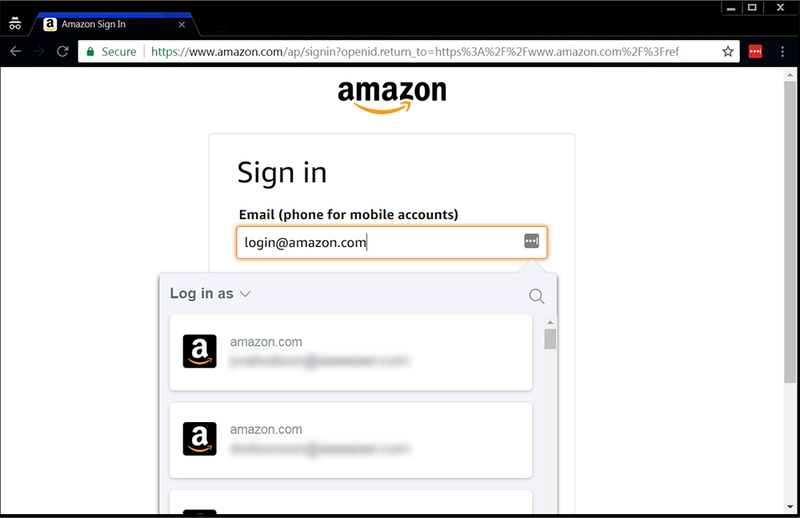 Now, unfortunately, the process to log in to an account which has more than one login is: click on the form handle, wait awhile for it to load (even on the fastest PC with SSD, latest quad-core i7 and 32GB of RAM), often clicking the handle a few times trying to get it to open, then try to scroll through to find it, until you give up and have to click in the search box inside the popup (instead of the input field like previously), type your login username to filter them, choose the one you want, and finally click to login. It’s extremely tedious, but until now there was still nothing better for free. 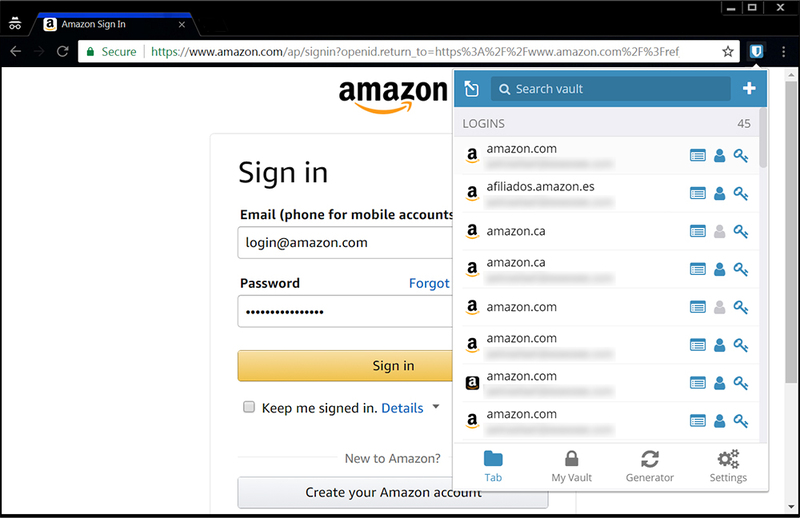 As can be seen in the below screenshots, logging into a particular site shows many more logins at a glance using Bitwarden, which shows 8, than LastPass, which shows only 2. To be fair, LastPass does have a way to show the logins on the top-level page when you click the extension icon. Unfortunately, as you can see it results in the same problem, only showing two logins at a glance. On the other hand, LastPass does have a better global search function than BitWarden, which not only shows more at a glance (12 in fact), but also allows you to autofill by clicking it. This is better than Bitwarden which cannot autofill by clicking through the search yet. The downside is that beginning to type your login is going to filter all your sites. When you try to start typing your login, your’re going to have to scan through a ton of sites. And if you have to type the full username for your site and also more descriptors to get the login you want to show up, then it isn’t really saving you any time or effort, since in less time you could have simply logged into the site manually with less typing and effort. If only this longer and more compact screen could be the default extension popup, showing only the logins for the current site, it would be better overall than Bitwarden; but alas, it is not. If they added this as a way to be your default screen like Bitwarden’s default screen shows the current site’s logins, then it would be great. Worse, LastPass also logs out of all your other extensions whenever you have logged into a few other browsers. There does not seem to be any way to extend it to stay logged in indefinitely over unlimited browser sessions. For example, I have 16 browsers and chrome profiles on one computer and 8 on another. Whenever switching from one computer to the other, I am constantly logged out, or when using various different profiles even on the same computer, I have to constantly log back into the my LastPass account in the plugin in order to use it. This is extremely annoying. Compare this to Bitwarden which allows you to turn off timeout completely – they call it “lock options”, as in, the session is locked and you have to enter your master password again. By selecting “Never”, you’ll never had to re-enter. Of course, only do this on computers at home that you trust no one else has access to that you don’t want. Additionally, with the most recent major LastPass update in the past year, LastPass began overriding your current page with your LastPass vault every time you log into LastPass. As a result, you are forced to close your tab, open a new tab, and try to remember what URL you were on. If you are an extreme multitasker, this is a tremendously frustrating experience. As you can see in the screenshot below, there is actually a setting to turn this off, but it was already off. The bug is that it shows anyway even with the option deselected, and in the worst possible manner. Another big annoyance is its bugginess in that it will often give you a popup saying it cannot connect to the server, which you either need to manually close or reload the webpage, just to find out there was no issue at all. Moreover, there is no free LastPass for mobile devices, you have to upgrade to their expensive Premium plan. Since mobile usage is a fundamental part of tech users’ lives, this is much like a bait-and-switch. “Sure you can use the free extension; oh, now that you’re dependent on it, by the way, you have to pay to use it on your phone.” This is terrible. LastPass is terrible now due to slowness, bugginess, and tediousness, not to mention its paid mobile version, but it had to be used due to no acceptable alternative. However, with the latest version of Bitwarden, that may have finally changed. Bitwarden on the other hand is free for mobile devices. Although unfortunately there do not appear to be any browser plugins for mobile (there are not any for LastPass either), at least you can use it for free on all your mobile devices. It has a notification in your phone’s notification screen which you can use to login on mobile browsers. The only thing that is really lacking from Bitwarden is the handles that let you choose your login from the form field. If you only have one login you can use CTRL+SHIFT+L and it will autofill the first in the list, an interesting feature and very useful for sites with only one login. Although, this is not useful if you have more than one login; if you could open the extension popup with a shortcut, that would be much more useful. Hopefully they add this feature in the future. Despite lack of fill handles, Bitwarden is still better and faster and less tedious than LastPass now. For LastPass you still have to click it which is slow and tedious, and then as described above it takes a relatively long time to find your login and finally fill it and sign in. Due to this, since Bitwarden also requires you to click the browser handle, which is no different for the first step besides the location on your screen where you click, Bitwarden wins, because the whole process to find your login is faster and less tedious with less clicks. This feature has also been improved in Bitwarden, so that whatever website you are on, it automatically shows you the logins for that site in the list at the first extension screen, which is similar to LastPass’ popup when you click the form handle. 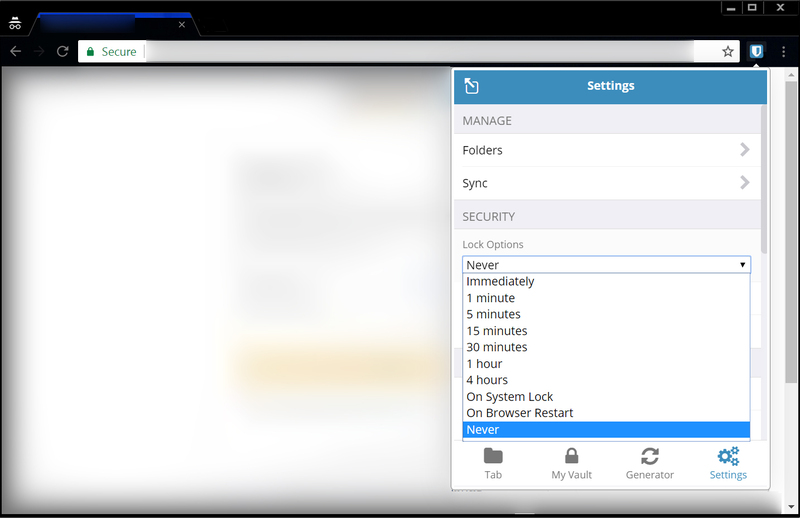 Bitwarden wins now because of the fact that it loads much faster, and is more compact, much like LastPass’ old compact popup, so you can see many more logins without having to scroll. Compare this to LastPass which only shows two at a glance due to the gigantic login details boxes. Bitwarden, on the other hand, lets you can see 8 logins at a glance. When you click the login in the extension popup in Bitwarden, this also has been improved because now it works just like LastPass, since it automatically fills the login when you click. The downside of Bitwarden is that if you have a ton of logins for a single website (more than 20), then it takes some scrolling since the filter feature searches your entire vault, instead of only the site you are on. 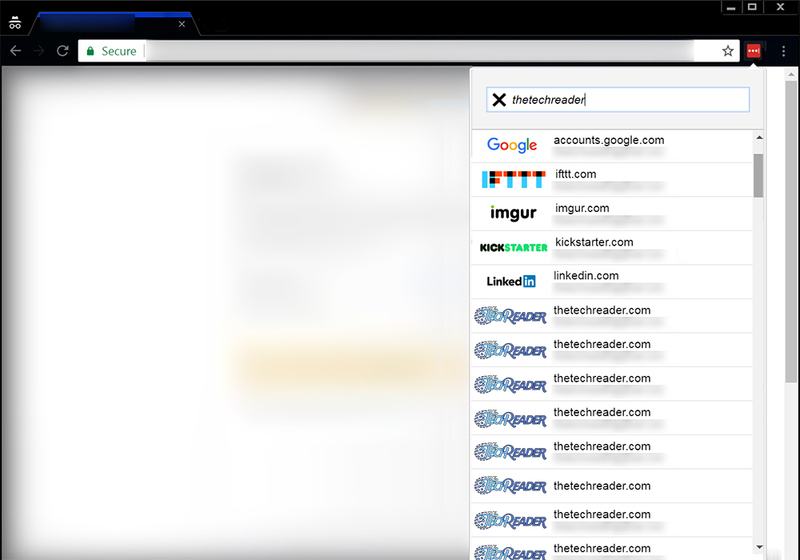 A suggestion to Bitwarden developers is that this issue can be easily improved, by simply using the search bar in the extension popup to filter the current site when you are on the main screen of the popup, and when you choose the “My Vault” at the bottom of the popup, switch the search to filter your entire vault. This is really important, because for some sites for which have many users saved, filtering is really necessary, and LastPass wins when filtering is required. This would be the final improvement to Bitwarden, besides the missing form fill handle inside the form fields. If you have a lot of logins (I have tens of thousands, if not more), Bitwarden’s vault can be a bit slow, and this includes the filter in the extension popup. In Bitwarden’s defense though, LastPass has the same problem with a slow vault and slow global password filtering. Unfortunately, even when you do search the vault using the extension popup, the vault tab results cannot be autofilled onto the current page, meaning you have to search twice, once for username and once for password, and also paste it in manually. One final problem is that for some sites, Bitwarden doesn’t seem to work for autofill. One of these is Protonmail, for which unfortunately Bitwarden gives an error and makes you manually copy and paste. LastPass does not have this issue. On the upside, the free mobile version of Bitwarden is icing on the cake to its other benefits, compared to LastPass requiring an expensive monthly Premium plan in order to get this necessary feature. Now that the desktop version of Bitwarden is more usable than LastPass, there is no reason not to switch, especially if you use your mobile device for a lot of web logins. The main difference in the login process on your desktop between Bitwarden and LastPass, is that for Bitwarden, instead of clicking the form handle like LastPass, you only move your mouse to the extension icon, and the rest of the process is the same. It’s still one click to access your logins, but Bitwarden is much faster, smoother, and less tedious to login to your websites than LastPass now is. Since LastPass has gotten so terrible, and Bitwarden has improved so much (with hopefully more on the horizon), Bitwarden may have finally surpassed LastPass in usability. Users are getting so fed up with LastPass and their continual degradation of their product and extreme tedium that they would almost be willing to go to an inferior product, if it at least came close and improved usability. Bitwarden is gold because not only is it better in many ways and even more free, but it also is faster and considerably more usable, with far less tediousness, although with a few exceptions. Our conclusion is that it’s almost there, and if you aren’t already accustomed to LastPass, then Bitwarden is certainly worth a try. 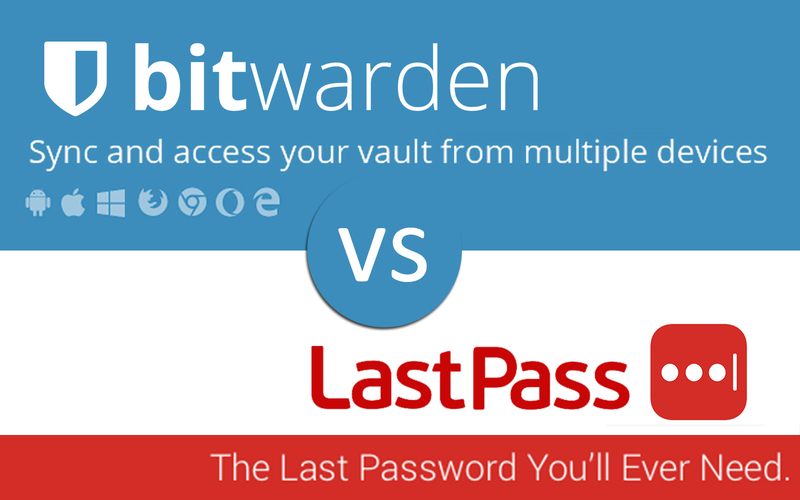 Which password manager do you like better, Bitwarden or LastPass? Which one do you use? Lastpass app is not free. It is a free trial which will convert to paid and lock you out after the trial period ends.